Find a club near you; see a detailed listing by geographic region, or view locations on a map. Anyone interested in joining a MSNSW club for the first time may join on-line. Click this button to start your application to become a member. Proof of age will need to be provided to your Club at registration day, so please bring a copy. Current members may update their membership details, or renew membership on-line. Click this button to update details, or renew membership on-line. Current members will be able to renew their membership from December 1, you need to be financial by 31st December. Lapsed members will be able to sign up for 16 month memberships from September 1. Second claim membership applies to those members wishing to join an additional club to your first claim (primary) club. Coaches, Technical Officials and Volunteers can join Masters Swimming Australia for $10 per year. Choose Non Swimmer in the State drop down box then NSW in the Club drop down box and follow the prompts. Click this button to start your application. 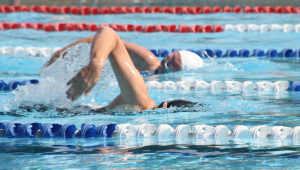 If you have been previously registered with a Masters Swimming club and wish to change to a new club, a transfer request must be made from your new club to your old club. This must take place BEFORE you re-register. Click this button to find your club contact details.